Ideal for families on vacation. The Colonial Quarters sets out some spacious well equipped and comfortable, family units made up of 1, 2, 3 bedroom beachfront bungalows, all ready to provide maximum space and comfort. With living room, kitchen, bathroom, veranda and nice garden. Ideal for honeymooners and couples looking for privacy and tranquility, ideal for couples. Each unit has a large veranda with locally made furniture. 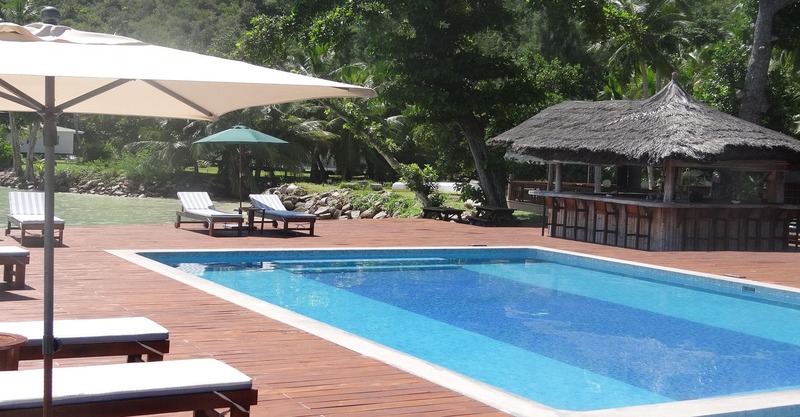 In total, there are 12 single bungalows all situated 1-2 metres from the beach. Access by traditional Seychelles sand road, covered with shade from the Badamier Tree (Brazilian Nut Tree). Only one extra bed for a child or a baby cot is allowed in the Pirate coves.